Vend is revolutionising retail all over the world with the power of the cloud. Help lead the way. Looking to introduce your retail clients to leading business solutions? The Advisor Program is great for accountants, bookkeepers, and those working with retail businesses. Earn an activation bonus and refer contacts at your convenience, no obligations. Resellers work closely with retailers. The Reseller Program is perfectly suited to those regularly working with small businesses, such as payments and hardware resellers. Work closely with Vend to offer your clients the best in-store retail solution while earning valuable, ongoing commission. If you’re in the business of providing services and support to clients, selling retail hardware, or even fitting out retail stores, the Vend Expert reseller program is a great fit. Developers build on the Vend API. Develop with Vend and gain entry to a global market of retailers looking to streamline their operations and maximise their businesses. Integrate your existing software or build custom solutions, reach new clients, and grow your business. Should I be an Expert or an Advisor? The Vend Expert program is high-touch and time intensive. It is designed for people who build their business around providing hands-on services and support to clients. Experts can build a robust business and grow new revenue streams around Vend. Learn more about the Expert program. The Vend Advisor program is low-touch with no time commitment. It is designed for people who wish to spread the word about Vend, earn a commission, and/or provide contacts and clients with useful software and valuable services. No client setup or support is required of Advisors. Learn more about the Advisor program. Who is a typical Expert? Who is a typical Advisor? What does it take to become an Approved developer? You must submit two completed development projects for Vend users to our add-ons team for approval. If your work is approved you’ll be listed as an Approved Developer partner. What sorts of custom developments are Vend customers asking for? Vend has a very wide range of users, many with niche industry requirements and business-specific internal processes. Each retail vertical will have a particular scenario they want to explore or problem. What makes a good add-on? The best add-ons are the ones that address and solve retail painpoints. Like increasing customer engagement, improving processes, and saving them time. 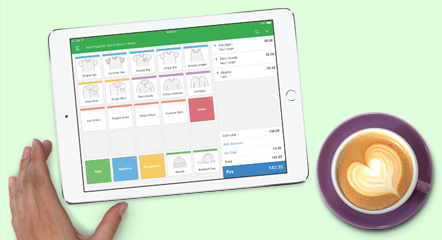 Some great add-ons for retail include customer loyalty and rewards, payments, marketing and CRM, analytics, multi-store management tools, warehousing, and much more.